Come on down and check us out in the heart of Traverse City’s waterfront Clinch Park. 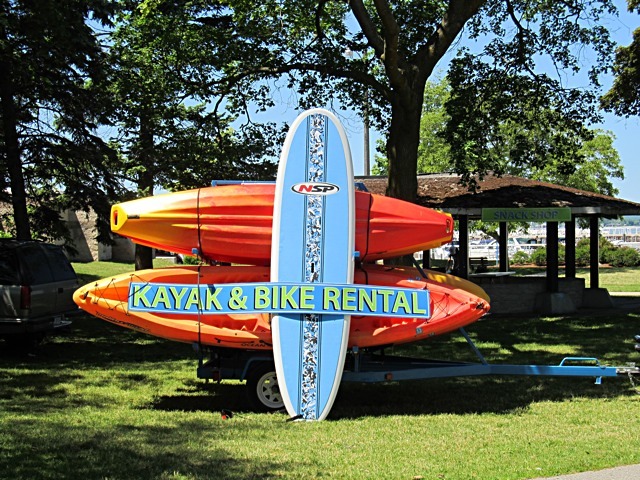 We are Traverse City’s Bike and Kayak Rental headquarters! You can also enjoy a snack and stock up on any beach going goods as you enjoy West Grand Traverse Bay and Downtown Traverse City. We are also right next to two Traverse City’s must do’s: The Open Space and Clinch Park Beach.